In case you needed more evidence proving that the Snapdragon S4 Pro with Adreno 320 graphics is the biggest, baddest mobile processor around, here comes a fresh dose of benchmark results showing the chip's potential. 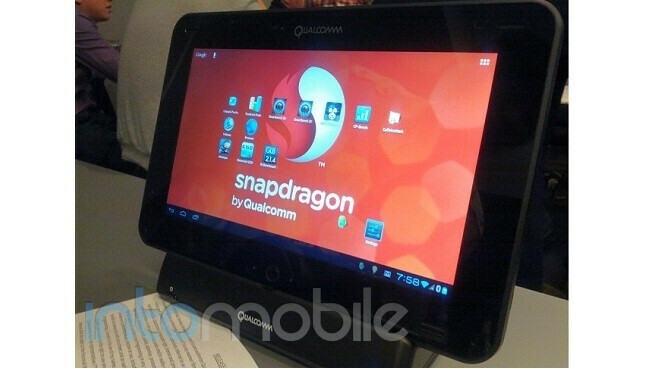 The benchmarks were conducted during a private event hosted by Qualcomm, at which a developer-oriented tablet equipped with an APQ8064 chipset was shown off. 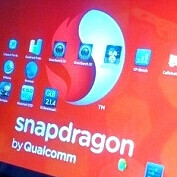 Actually, demonstrating processing prowess was not the primary goal of Qualcomm's event, reports IntoMobile. The chip maker focused highly on understanding what all those synthetic benchmark results truly reflect. Well-chosen topic, we must add, for we have always known that high benchmark scores do not guarantee buttery-smooth, real-life performance. To no surprise, Qualcomm also used the opportunity to speak of its competitors and their purportedly non-optimal approaches to making mobile silicon. Should you be interested in that S4 Pro-rockin' tablet we mentioned earlier, it comes with a 10.1-inch display with a resolution of 1280 by 768 pixels. A 13-megapixel camera, 2GB of DDR2 RAM, and 32GB of storage have also been thrown in for good measure. The device runs Android 4.0 Ice Cream Sandwich, and those who have been given the opportunity to use it say that it is devilishly fast. Yeah, it is quite an ugly duckling, but hey, we cannot complain given that the tablet is made for developers, not for the average consumer. Wanna get one anyway? Better think twice as it carries a hefty $1,299 price tag. If the powerful chip inside it is what interest you, better wait for those Snapdragon S4 Pro LG smartphones that are said to be headed to the U.S. I'll be the FIRST to say put that in your pipe and smoke it new icrap pad!! Agreed that benchmark is pretty amazing I feel we can move away from processing power stick with quad core.. and focus on battery life in our devices now. Ladies and gentlemen.....this is what our android future is going to look like, aren't you glad you're still with android? they can keep the tablets, just put this on a moto or sony phone and I'm good to go! Me too! I read 'Mint' is gonna have something similar ..at least a dual core S4 with Adreno 320. We'll have to wait and see. dude S4 quad core would run laps around exynos quad sorry but this is the new best chip my friend....just look at how good the S4 does on dual core phones. It may run laps round the current Quad Core exynos series, but the Exynos 5450 (Mali T658) will be the one that will obliterate the S4 Pro, the current 4412 powered GS3 of course will stumble compared to a next generation Quad Core series from Qualcomm. I guess we'll be seeing this in the Galaxy Note 3, no way are Samsung putting this in the GS4. It's time for the S4 Pro to Raise some HeLL and do some a$$ whippin' !!! Whys it so much? Are all MDPs that expensive? Yes - unfortunately. Small volume/demand is the reason I guess. Ha take that exynos ! Anybody saw that "7 mics" ? I think its very impressive the way they have made the face of this device exactly the same as the Note 5.3". Also like the fact it also has an interactive pressure pen. Hope they offer 16GB,32GB AND 64GB NOTE 10.1. Very impressed with specs.